While range improves on a monthly basis, the annoyance of charging still represents a inconvenience when owning an EVs. Topping up your electric cars with cables is cumbersome at best, and usually awkward – and that’s why we’ve given the Parkers Tech Innovation award in association with CAR to BMW’s game-changing wireless charging tech. BMW’s charging technology will allow you to charge its EVs without by simply parking over a wireless charging pad, and that’ll take out a good chunk of hassle for EV owners. It’s a small thing, but seriously smooths out the EV experience on a da- to-day basis. We’ve seen BMW experiment with wireless charging on its Formula E safety cars for the last few years – and other brands demonstrate the tech – but the German carmaker will now be the first to bring it to market in 2019. Parkers editor Keith Adams said of the game-changer: ‘The popularity of BEVs is burgeoning, as an increasing number of buyers switch on the undoubted benefits of fuel-free motoring. However, one major irritation is the charging cables, which can be a pain to use, especially in poor weather conditions. They also rob a car of valuable boot space. The Parkers New Car Awards moves into its second year after a successful launch last year. The categories are designed to reflect the requirements of Britain’s car-buying public, and the winners were all chosen based on the buying habits of the website’s 2.9+ million users actively involved in the buying process. The awards categories have been shaped by constant analysis of Parkers.co.uk traffic. Detailed research shows that 77% of Parkers.co.uk site users consider buying cars from multiple market sectors, destroying the idea of traditional competitors and rivals. Hence the Parkers New Car Awards are not based on conventional segments. Parkers.co.uk research also found that 78% of UK car buyers don’t like automotive jargon. As a result, there are no categories based on industry terms such as SUV, Crossover and Supermini. Instead, the Parkers New Car Awards are based around car-buying lifestages – for instance Best Car for Small Families or Best Seven-Seater – reflecting how the great British public buy cars to fit their lifestyles. The winning cars have been tested rigorously by the Parkers.co.uk team, which judged them on a combination of cost per month, value, quality, excellence and fitness for purpose. 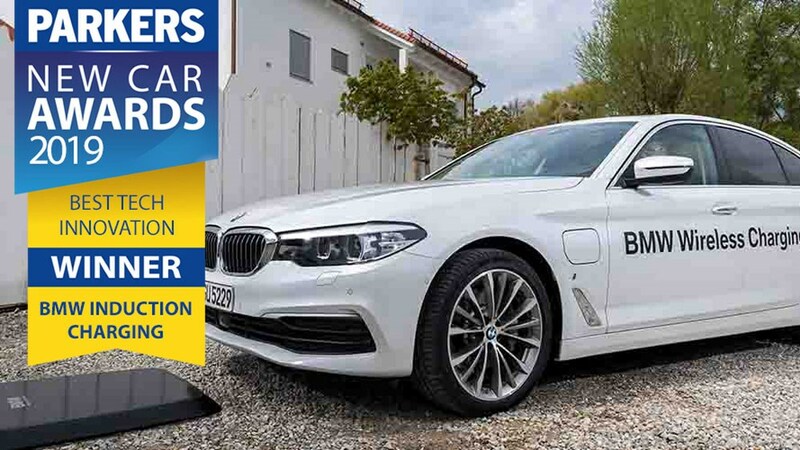 The Parkers New Car of the Year 2019 was chosen from the category winners, and is the car the team felt is the most compelling new vehicle you can currently buy. The Parkers New Car Awards 2019 is partnering with sister brands from across Bauer Media’s portfolio of 100+ magazines, websites and radio stations, which reaches one in two of all UK adults. We are truly speaking to car buyers in places other publishers cannot reach, including on national radio stations such as Kiss.